Big data analytics has gained traction across the business world in recent times, thanks in no small part to the boom in digital platforms. There is now a wealth of data to be mined which can then be scrutinized to gauge actionable insights. Professionals in the field are trained to find useful data and then interpret it, before using the findings to develop strategies for growth and improvement within an organization. The growing demand for professionals in this area is high and careers are typically very lucrative, given the shortage of qualified talent. The drought of qualified analytics professionals is so notable that a McKinsey study predicted that by 2018, there could be a nationwide shortage of up to 200,000 qualified professionals. Given the boom in the field and increasing employer demand, a number of universities have created master’s degree programs in analytics (MSA), and Villanova University is no exception. The Villanova School of Business program is taught by world-class faculty and teaches students analytics technologies, data mining and general best practices. The online program can be incorporated into any busy professional’s hectic schedule, and is ideal for helping individuals transition into a successful analytics career. Data analytics roles are important across a range of industries, including finance, health care and technology. 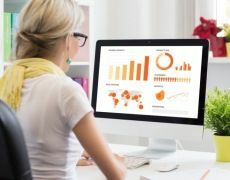 Analytics is also particularly useful in the marketing profession, where content and advertising campaigns are designed to boost customer engagement. SAS explained that analytics professionals who work for marketing organizations will use their expertise to gather data from an array of platforms that can indicate the efficacy of marketing strategies over time. In other words, marketing analytics professionals won’t simply focus on analyzing data from one platform—they will look at data from many platforms to gain more comprehensive insights. A primary responsibility of a marketing analytics professional is to examine statistics to make informed judgments not only on the success of a marketing campaign, but also about the nature of the market and the behavior of competitors, SAS detailed. MSA graduates are prepared to handle these responsibilities because they are taught, in depth, about the discipline of statistical analysis and the most effective means through which to collect and make sense of vast amounts of information. Whether it is collecting data to discover customer social media response to a new product, researching the current market climate or finding ways to measure interest in a product, marketing analytics professionals will need to have detailed knowledge of new technologies and data measuring platforms that streamline the data mining and analysis process. MSA graduates will leave their programs with a comprehensive understanding of the latest analytics tools, as well as with the necessary skills to use them effectively. Whether it is making sense of information collected from surveys or social media data, such as the number of likes or shares, the primary objective of any marketing analytics professional is to use a wide variety of data to develop reports on progress and success, and then use the intelligence to build strategies for growth and development. MSA graduates can be trusted with this aspect of the role because the core feature of our MSA program is teaching students about the way that various types of data can be harnessed to improve overall business practice. For example, our students are instructed in how to employ big data to make consequential business decisions, as well as how to use data to compare performance with other organizations in a bid to stay competitive. In addition to training students in the practice of analytics, our MSA focuses on how such knowledge can be successfully harnessed in a business context. MSA graduates will typically have strong business acumen and will demonstrate a nuanced understanding of how the insights provided by data can contribute to the growth and development of an organization. Given that analytics professionals in the marketing field usually work for large companies, the business acumen gained from the program is highly valuable. Marketing analytics professionals use big data to gain insights into the efficacy of marketing efforts and develop strategies for improvement and growth. MSA graduates are well-suited to this role because our program provides students with a comprehensive and detailed education on all aspects of analytics practice in a business setting. If you are ready to begin an exciting career in the field of marketing analytics, consider applying to Villanova’s online Master of Science in Analytics program. Taught exclusively online, the program allows you to juggle other personal and work commitments to study at a time that suits you best. Learn more information about Villanova’s program.